A new patent awarded to Seattle-based rocket company Blue Origin is raising eyebrows. Will NASA Cut Commercial Resupply Services? 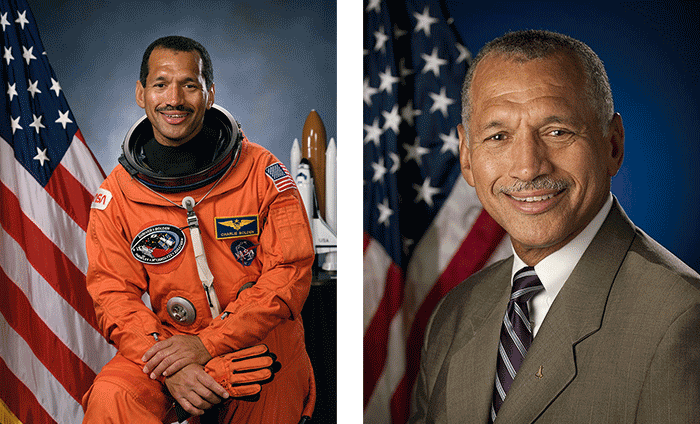 NASA Administrator Major General Charles Bolden says he will have to make cuts to NASA’s “Commercial Resupply Services” contract, Aviation Week reports. 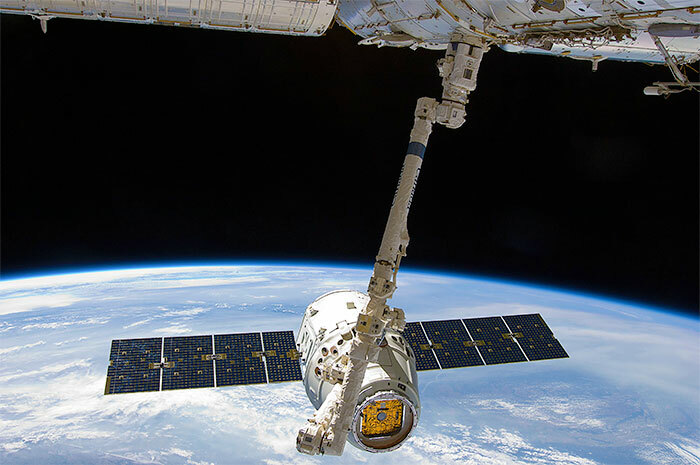 NASA has awarded CRS contracts to Space Exploration Technologies (SpaceX) and Orbital Sciences Corporation for 12 and 8 cargo missions, valuaed at $1.6 billion and $1.9 billion, respectively. It’s hard to see how the proposed renegotiation would save money, however. The International Space Station needs a certain number of cargo flights to operate. There are some optional science experiments, but science aboard ISS is already severely restricted and it’s hard to see how it could be cut much further. Most space conferences are nothing but talk. The Space Hacker Workshop provides hands-on access to hardware. This is the conference for doers. If you’d like to do space rather than just talk about, and you’re in the Bay Area, sign up now. The registration rate so far has been fantastic. Following our success in Silicon Valley, we plan to bring the workshop to other cities around the US. If you’d like to bring the Space Hacker Workshop to your area, contact us to find out how. Researchers at the University of Connecticut and Penn State Altoona have developed nanoscale antennas that convert sunlight to electricity with much higher efficiency than solar cells — up to 70%. See articles here and here. The idea of using nanoantennas to collect solar energy has been around for a while, but fabricating the antennas has been a problem up to now. Brian Willis, associate professor of chemical, materials, and biomolecular engineering at the University of Connecticut, believes he has solved that problem, using the atomic layer deposition (ALD) fabrication process, which he developed in 2011 at the University of Delaware. If perfected, this technology could be a boon for spacecraft and satellite design. 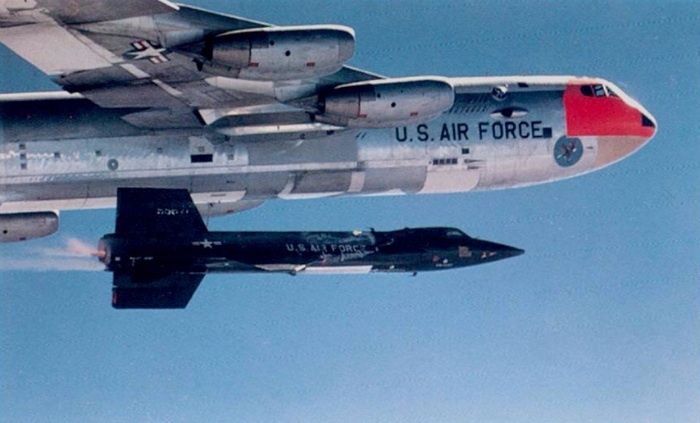 When commercial suborbital flights begin, they will follow a trail blazed fifty years ago by the X-15 research aircraft. Orbital Sciences successfully launched its Antares rocket on Sunday, achieving another milestone for NASA’s Commercial Orbital Transportation Services (COTS) program. Future flights of the Antares will carry Orbital’s Antares space tug, which is intended to service the International Space Station. Overlooked by most of the news reports are four small satellites which Antares carried as secondary payloads. Alamode is a $50 Arduino-compatible add-on board for the Raspberry Pi single-board microcomputer. Alamode connects to the Raspberry Pi’s GPIO pins and is compatible with all Arduino shields and libraries. Developers can connect a Raspberry Pi to an Arduino, to take advantage of the Arduino’s analog connectivity and add-on boards, but Alamode provides a neater solution. Alamode may be appealing to developers who are familiar with the Raspberry Pi platform, but the new BeagleBone Black provides similar capabilities at lower cost. 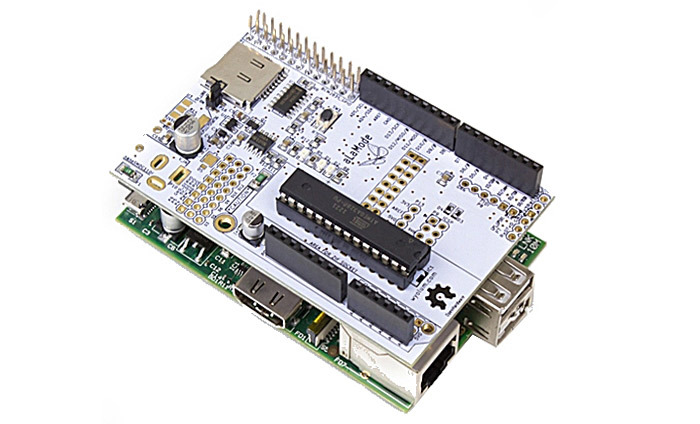 The combination of a Raspberry Pi Model B and Alamode costs a total of $85, while BeagleBone Black combines the capabilities into a single board for $45. Still, it is good to have so many options for hardware development. We hope that many of these options will be tried out by citizen scientists who respond to our Call For Experiments. 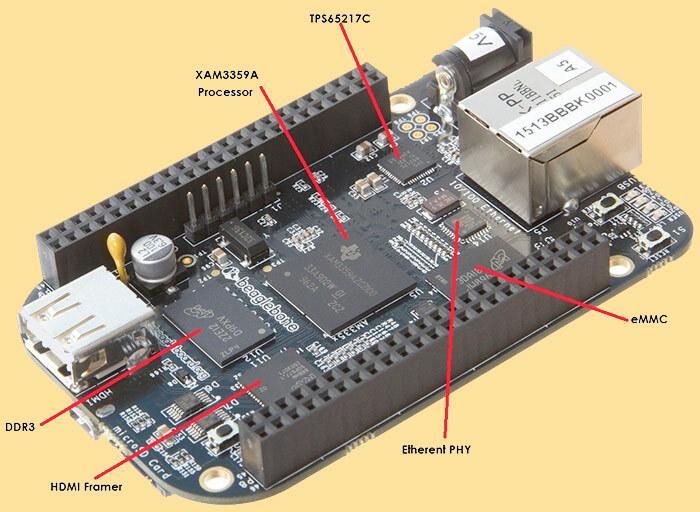 The next-generation BeagleBone, known as the BeagleBone Black, has been released with a selling price of $45. The good news is, Newark Element 14 informed us that they received their first shipment this morning. The bad news is, they’re already sold out. NASA’s FY2014 budget request was officially presented last week. As expected, the news is not good for NASA Education. The suborbital spaceflight industry and researchers are preparing for this year’s Next Generation Suborbital Researchers Conference, which takes place at the Omni Interlocken Resort in Broomfield, Colorado on June 3-5. Keynote speakers at the conference will include NASA deputy administrator Lori Garver, former Shuttle program manager Wayne Hale, Commercial Spaceflight Federation president and former Shuttle astronaut Michael Lopez-Alegria, FAA associate administrator for space transportation Dr. George Nield, Mojave Air and Space Port Manager Stu Witt, and the associate administrator for NASA’s new Space Technology Mission Directorate, Dr. Michael Gazarik. For the first time this year, the program will feature dedicated three-hour provider tracks offering “deep dive” coverage of three suborbital transportation providers (Masten Space Systems, Virgin Galactic, and XCOR Aerospace). The schedule also includes panel sessions on topics such as Life Sciences, Astrophysics and Solar Physics, Microgravity, Education and Public Outreach, Planetary Science, and Atmospheric Sciences. Citizens in Space will present two papers at the conference. During the session on Markets, Policy, and Training, we will present “Citizen Science and Citizen Space Exploration” by Edward Wright, Lt. Col. Steve Heck (USAF-ret. ), Maureen Adams, Michael Johnson, Dr. Sean Casey of the Silicon Valley Space Center, and Ravi Kamitreddy, MD, of VitalSpace and the Scripps Translational Science Institute. During the session on Payload Accommodations, we will present “The Lynx Cub Payload Carrier for Small Suborbital Experiments” by Edward Wright, Charles Hill and Dr. Frank Little of the Space Engineering Research Center, and Prof. Justin Yates, Eric Chao, Cress Netherland, Donald Boyd, and Austin Goswick of the Texas A&M University Department of Industrial and Systems Engineering. Both papers will be presented Tuesday afternoon, June 4. 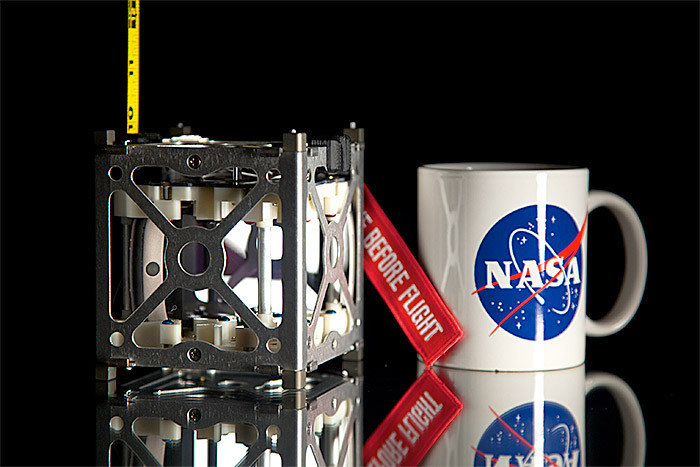 A number of organizations will have hardware on display, including a mockup of the Lynx Cub Payload Carrier being developed by Citizens in Space in cooperation with the Space Engineering Research Center and Texas A&M University. Conference registration is currently $295 but goes up to $350 on April 25. Onsite registration is $385. Onsite registration for students is $150. On April 12, 1961, Soviet news agencies announced that Red Air Force Major Yuri A. Gagarin had just orbited the earth in a spacecraft named Vostok. Unknown and anonymous the day before Gagarin, the world’s first cosmonaut, abruptly became an international celebrity. Tim Pickens, who developed the propulsion system for SpaceShip One, talks about the significance of the project. NASA’s Commercial Crew and Cargo Development (CCDev) program keeps getting smaller all the time. Now, it appears the field is about to shrink further. At a hearing on March 20, NASA Administrator Maj. Gen. Charles Bolden told Congress, “We intend to put a request for proposal on the street this summer and you will probably get a downselect.” The losers will be kept hanging for a while, however. “You won’t see the selection announced until the middle of next year, 2014,” Bolden said. 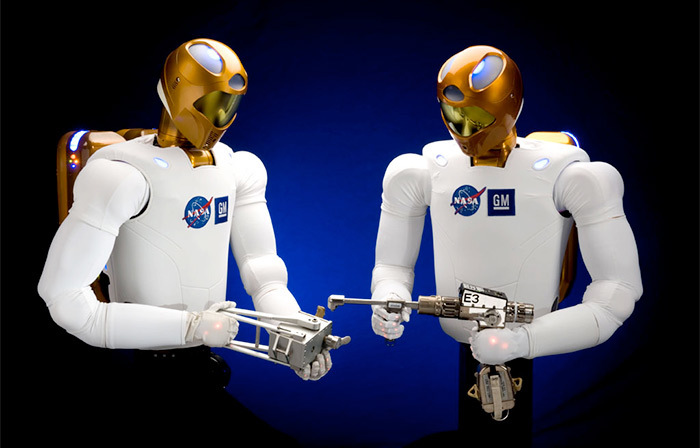 NASA and TopCoder have teamed up to create the Robonaut Challenge. The competition, which runs until 9:00 am EDT on April 22, challenges programmers to train NASA’s Robonaut android to interact with input devices used by astronauts aboard the International Space Station. Greg Kennedy, director of education at NASTAR Center and former associate curator for manned spaceflight at the Smithsonian Institution’s National Air and Space Museum, has joined our writing staff. Greg will be contributing articles on approximately a weekly basis. Mountain View, California (Apr. 2, 2013) – Are you a hardware hacker? Do you have the Right Stuff to become a citizen scientist or citizen astronaut? Here’s your chance to find out. Citizen scientists and hardware hackers will learn how to do “space on the cheap” at the first Space Hacker Workshop for Suborbital Experiments. Participants at the two-day workshop will learn how they can build and fly experiments in space, and even fly in space as citizen astronauts, through the Citizens in Space program. The Space Hacker Workshop takes place May 4-5 at the Hacker Dojo in Mountain View, California, across the street (literally) from NASA Ames Research Center. The workshop is sponsored by Citizens in Space, a project of the United States Rocket Academy, and the Silicon Valley Space Center. 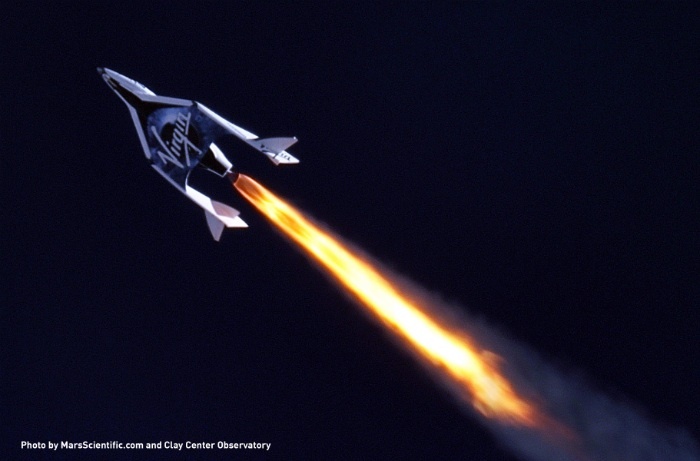 Citizens in Space has purchased 10 flights on the XCOR Lynx spacecraft, now under construction at the Mojave Air and Space Port, which will be made available to the citizen-science community. The Space Hacker Workshop will provide hands-on exposure to a variety of microcontrollers, sensors, imaging systems, and other components. With these components, participants will learn how to design and build microgravity, fluid-physics, life-science, and engineering experiments. Infinity Aerospace, which is developing the open-source ArduLab for low-cost space experiments, will be on hand to discuss the use of ArduLab hardware as a development platform. Also on hand will be representatives of XCOR Aerospace, which is building the fully reusable Lynx suborbital spacecraft, and NASA Ames Research Center. Khaki Rodway of XCOR Aerospace will discuss the capabilities and requirements of the Lynx spacecraft. A panel of experts from NASA and industry will discuss research professional scientists have done in the past, prospects for new research on low-cost vehicles such as the Lynx, and opportunities for citizen scientists to build on the shoulders of NASA giants. Project manager Edward Wright will be on hand to discuss Citizens in Space flight opportunities for experiments and citizen astronauts, including an exclusive glimpse at citizen-astronaut training activities planned for this summer. Admission for the event is $150 at the door, but early-bird tickets are available now for $100. Tickets are limited and the event may sell out. Online registration is available at spacehacker.eventbrite.com. For more information about Citizens in Space flight opportunities, see our Call For Experiments.